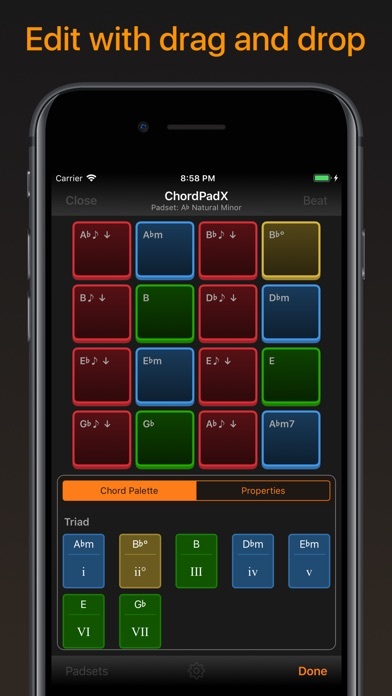 With ChordPadX, chord are at your fingertips! 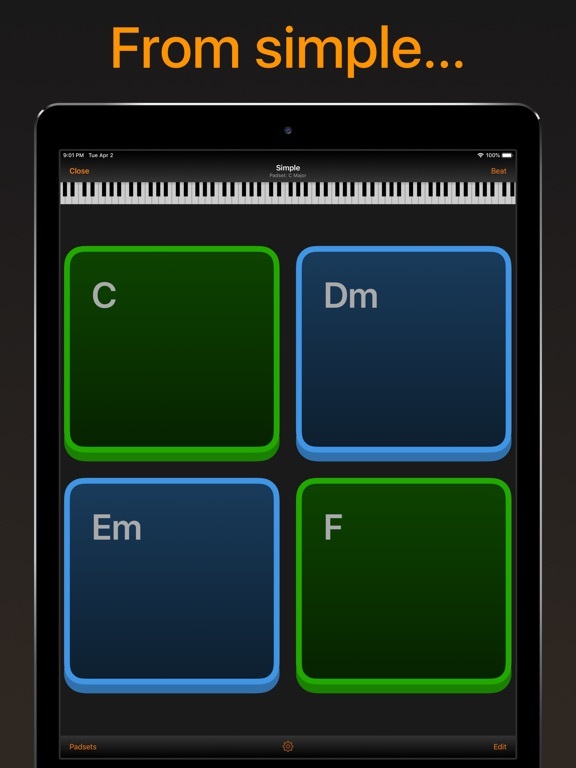 Trigger chords and notes intuitively, with a human touch. 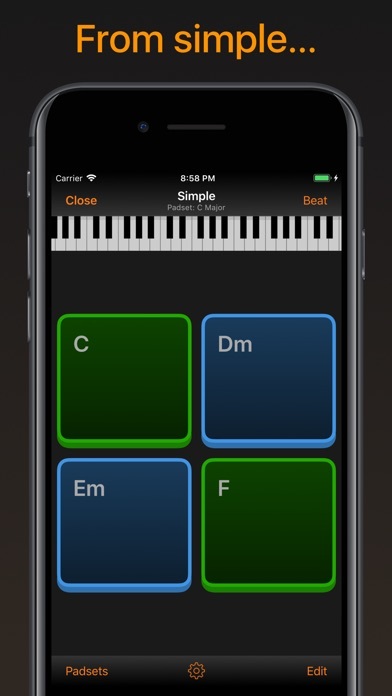 Focused on intuition and efficiency, this app gives you the tools to create new song ideas in seconds. 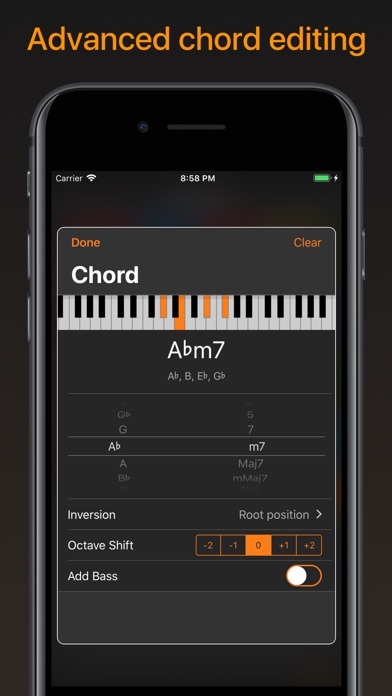 This app will guide you towards chords that sound good together. 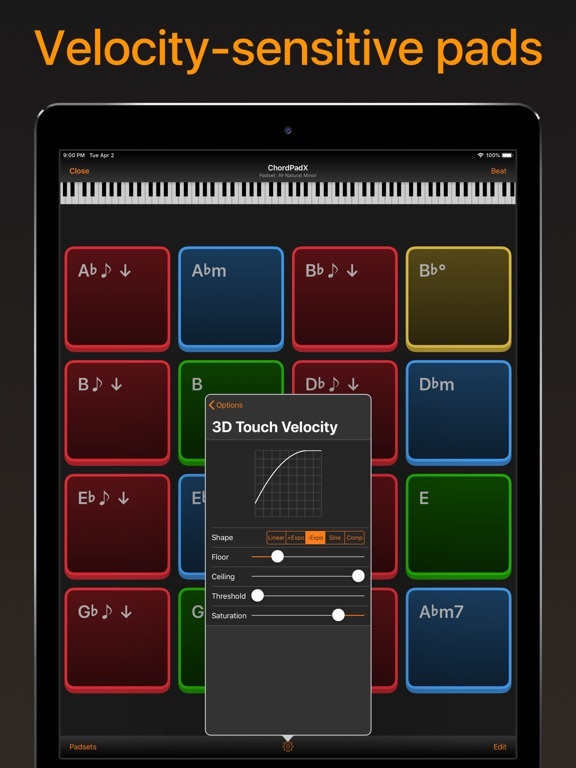 It's made for all levels of musicians, from pro to beginner. Understanding music theory is not required. 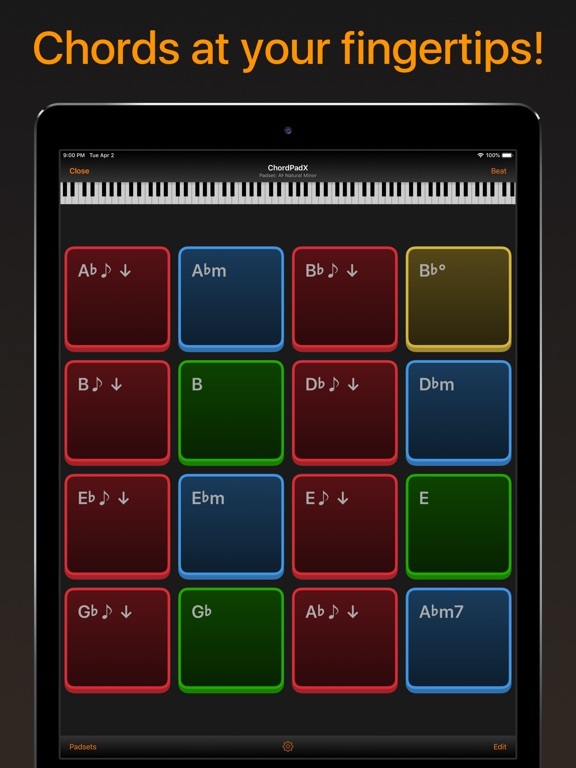 Pick from a selection of dynamic templates and find chords based on your choices. 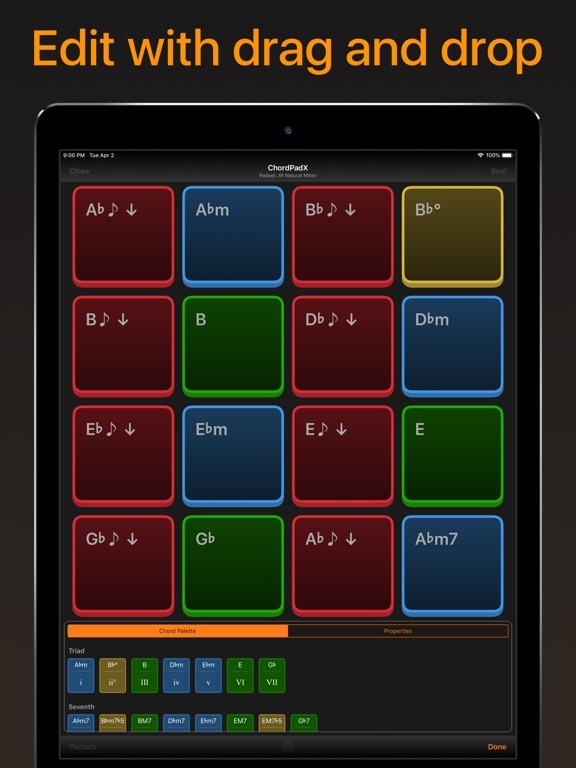 Rearrange the pads with drag and drop to form the layout that you need. 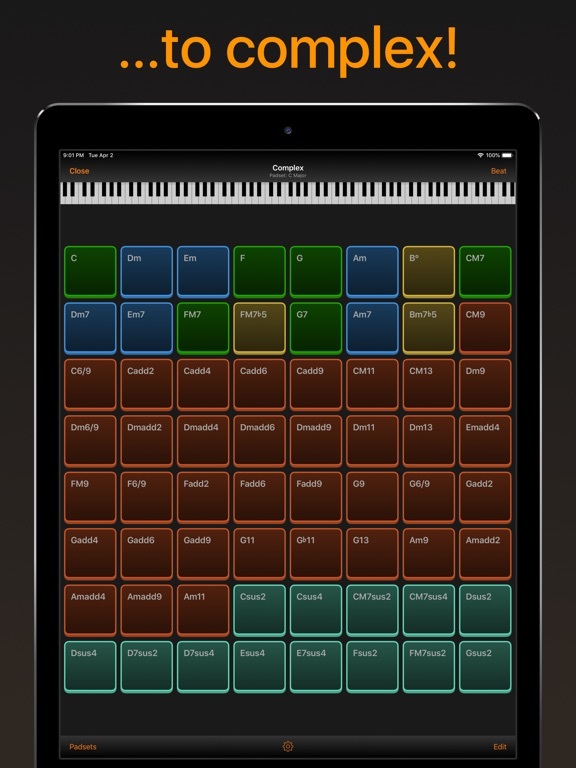 Or create your own from scratch by dragging chords from the palette. Use your fingers to trigger multiple pads at the same time. 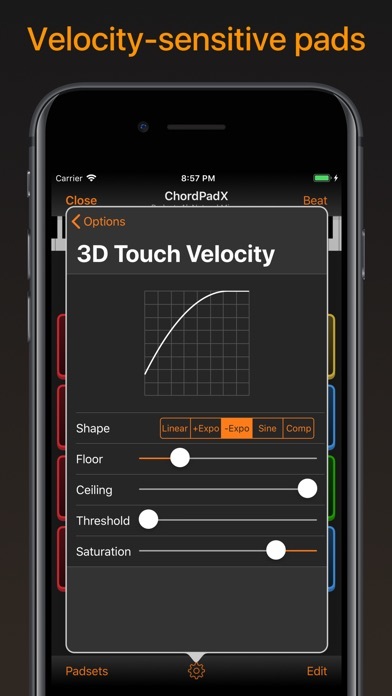 The pads are velocity sensitive and the response curve is adjustable with precision. Then adjust the chords through advanced editing. 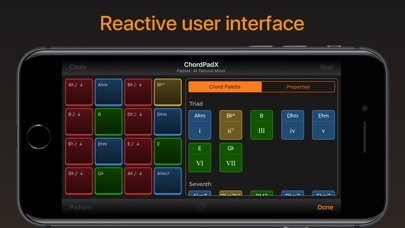 Change the chord type, alter the voicing with chord inversion, add bass, or choose a new pad color. 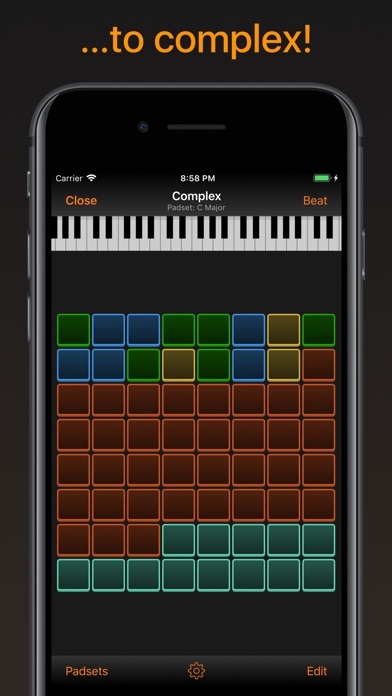 Use Audiobus and MIDI to connect with other apps. Sync up the tempo with Ableton Link. 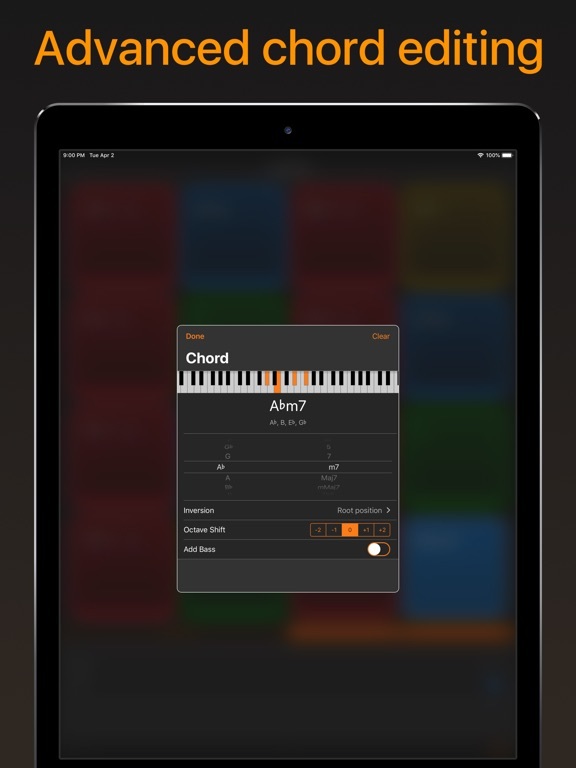 - Resolved an issue that prevented the edition of chord properties under certain conditions on iPad. 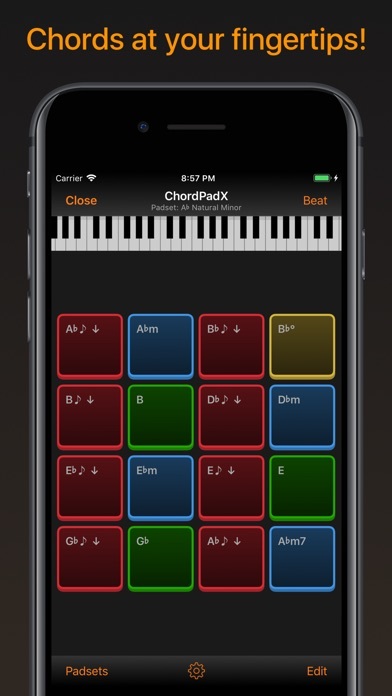 - Changes are now instantly applied when editing chord properties. Liking this one a lot. 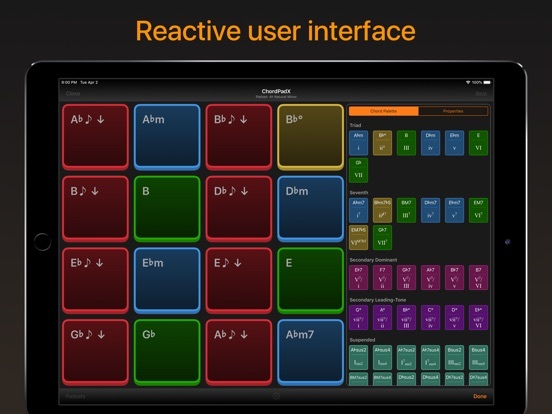 Intuitive, easy to use and configure. Not sure if I’m missing something, ‘cause it seems impossible to turn off in-built sounds. Otherwise, this is a winner and at a very attractive price.